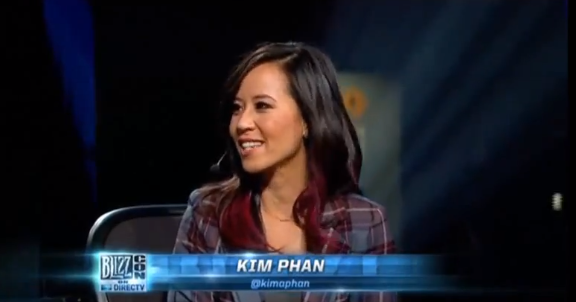 Kim Phan is a passionate gamer, producer, and community figure in the video game industry. She is currently Senior Manager of eSports at Blizzard Entertainment and is known for her love, passion, and dedication in the competitive and professional gaming scene. What started out as a hobby, later turned into a professional career for Kim when she accepted a job at Blizzard Entertainment in 2006. She was born and raised in Texas where she received her Bachelor of Science degree in Computer Science from the University of Texas at Dallas. Before joining Blizzard, she worked as a software engineer for six years at companies such as Alcatel USA and Garrett Electronics. Kim began playing console games at the age of five and was first introduced to PC games in college. The first PC game to really grab her attention was StarCraft: Brood War. She later immersed herself in Warcraft III: Reign of Chaos, which is where her interest in professional gaming emerged. 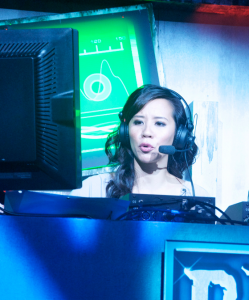 In 2003, she started commentating Warcraft III games, a practice known then as “shoutcasting.” Her insightful and light-hearted commentary captured the attention of many fans in the eSports community, who came to know Kim by the gamer tag “bunny.” She branched out further into the scene when she took ownership and ran one of the biggest and most popular Warcraft III community fan sites, WCReplays.com. She also joined United 5, a professional North American organization, to manage their Warcraft III team for competitive leagues. Kim managed all of this eSports activity during her free time while maintaining a full-time career as a software developer. All that community work for video games opened a new door for Kim when Blizzard Entertainment invited her to shoutcast their Warcraft III tournament at BlizzCon in 2005. The following year, she was offered a production job at Blizzard to work on their Online Technologies team, and she continued to moonlight as a Warcraft III shoutcaster at BlizzCon and Blizzard Worldwide Invitational events. She has also taken on roles as a host, interviewer, and reporter for DIRECTV at BlizzCon events. 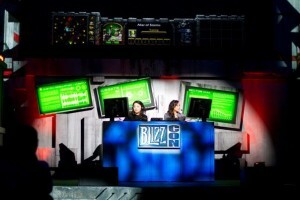 Kim’s positions at Blizzard included production leader and manager of a security development team, and today, she leads the Blizzard eSports team. She followed her passion, devoted her time doing what she loved, and landed the job of her dreams. During her spare time, Kim enjoys rock climbing, cycling, snowboarding, camping, and playing video games. 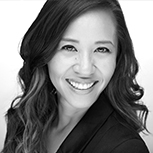 She currently resides in Orange County with her dog Gizmo and can be followed on Twitter @kimaphan. Besides it being the proper way to cut your meat, you should always “Go Against The Grain” to make your life as tenderly awesome as possible, keeping it just the way YOU like it! Take it in bite-sized chunks if you have to, but don’t do what everyone else expects you to do. No one wants a chewy, boring life because that’s tough to swallow. Ultimately, do what you want or think is best for you. To me, it means to challenge myself, to keep an open mind and to never let anyone or anything limit me. What made you decide to pursue a career in the video game industry? When I realized how talented, passionate and awesome the people are in the video game industry. We all share the same interests and geek out about the same things. There was never a moment when I made a decision to get into this industry. Instead, I focused on the things that made me successful in my life – determination, knowledge, organization, communication and optimism. Once you level up in these areas, you can apply it to any career. The only challenges I faced in my career as an Asian American was trying to meet the expectations of my family. I don’t think they would have been supportive of me pursuing a profession in video games from the start, which is why I chose a job in software engineering. The experience and success I gained from having a “normal” and “acceptable” occupation, made it easier for me to prove to my family that I can do just about anything. This might sound silly, but my biggest accomplishment is believing in myself, which has allowed me to do everything I’m most passionate about in life. I’m my biggest cheerleader. To help take eSports to the next level and have it one day be a mainstream sport, like football, basketball or tennis. I also want to continue traveling the world and exploring the many different cultures to help me become a better human being. Favorite food: I really can’t pick a favorite. I love food! Can’t live without: My dog Gizmo and natural source of Vitamin D! I’m solar-powered. 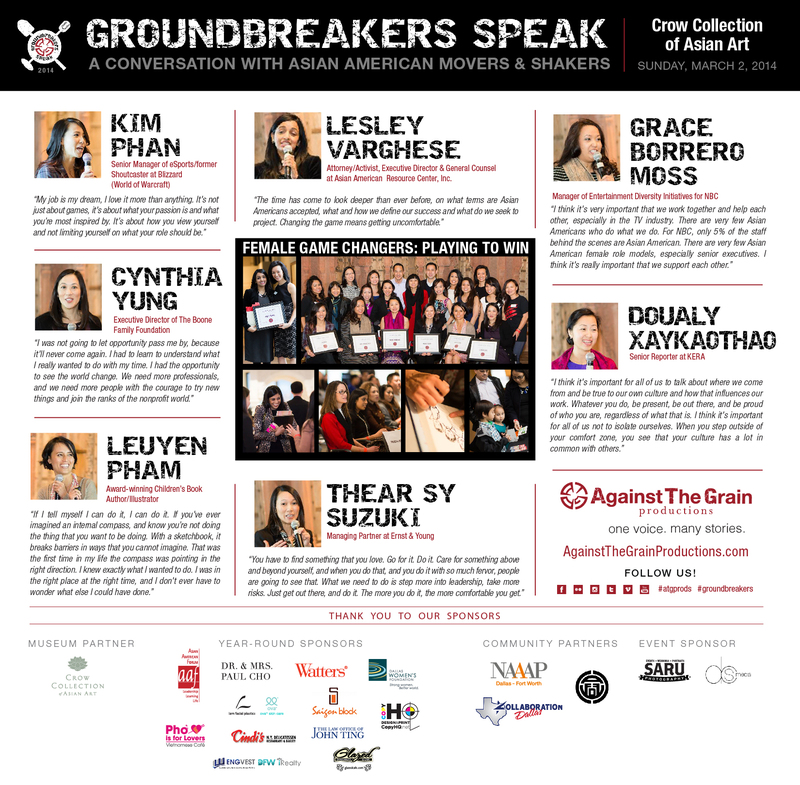 What does it mean to you to be asked to participate at Groundbreakers Speak? What do you hope to accomplish or for the audience to take away? 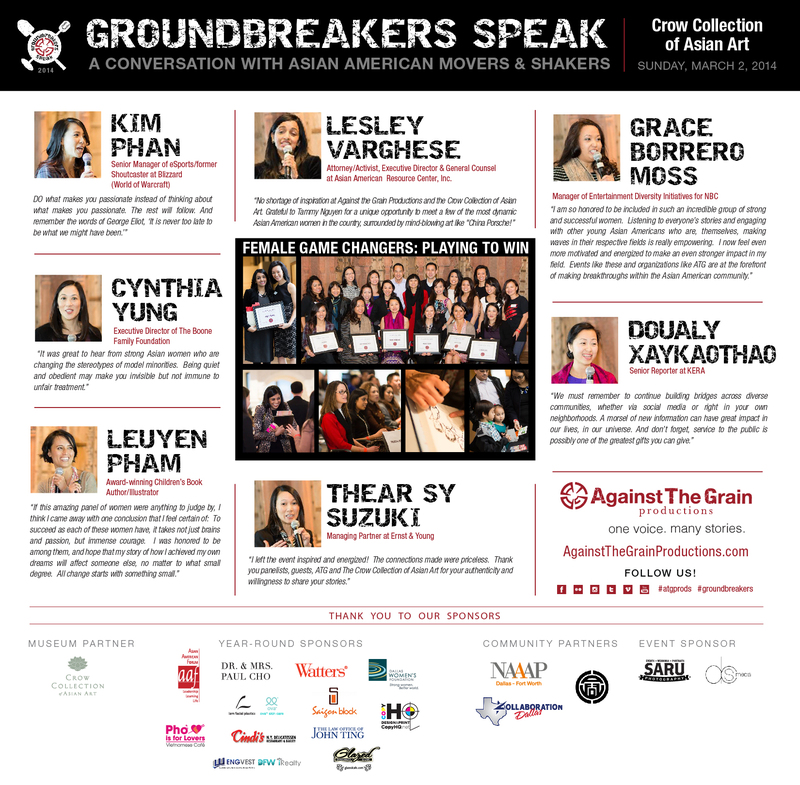 I am very grateful and honored to be a guest panelist at the Groundbreakers Speak and even more geeked out that I get to represent the gaming community! I hope to inspire others with my story and have the audience walk away learning and knowing more about eSports.